What is digital printing? Digital printing is a technique used to print items using digital or electronic files from a computer or personal storage device. This particular printing method offer lower production costs, that other types of printing. If you’re looking for experienced company carrying out Digital Printing in Bournemouth, be sure to call RP Printers on 01202 557917.For a number of years we have been offering our digital printing service to customers throughout Bournemouth and the surrounding areas. With years of experience in the digital print industry, we can produce short run print jobs at a fast rate and an affordable price. Using only the latest digital printing technology, it allows us to produce professional looking and high quality digitally printed items for customers throughout Bournemouth. All of the ink and digital printing related materials we use are of a top quality to ensure the highest possible standard of finish. At RP Printers we use digital printing, as we believe it is one of the most effective printing methods for a number of different digital print purposes. When it comes to needing digital printing in Bournemouth or any of the surrounding areas, then be sure to get in touch with RP Printers and we’ll be more than happy to help. For more information on our digital printing in Bournemouth services we offer to customers in and around Bournemouth, or to arrange a to have items or products digitally printed then please don’t hesitate to get in touch with RP Printers and we’ll be happy to assist. We are experienced digital printers, who are capable of handling all types of digital print projects. No matter how big or small your digital printing job is, be sure to make RP Printers your first port of call. With years of experience as digital printers, we only use the latest digital print technology to ensure a high standard of finish. As one of the leading digital printing companies in Bournemouth, we have all your digital print needs covered. If you’re in need of digital printing in Bournemouth, then look no further than RP Printers. We are experienced digital printers who offer a range of quality digitally printed products. With years of experience in the digital printing industry, we have all the necessary skills needed to undertake any type of digital printing project. To arrange digital printing or for more information on the range of products available as part of our digital print service, then be sure to give RP Printers a call. 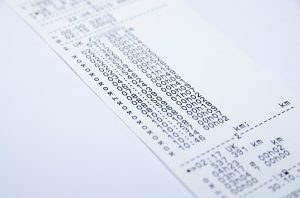 What is the cost of digital printing? The cost of digital printing all depends on how much you need printing. Digital prints are one of the most cost effective printing solutions available. I only need a few things printed is digital printing the best option? Yes, printing via digital technology is one of the most cost effective ways to print for short run print options. Feel free to get in touch with RP Printers of Bournemouth and we’ll be happy to assist. What size are digital prints available in? Digital prints are available in a range of size options, from small things like leaflets to large format printing such as posters. When you choose RP Printers, we’ll advise on the best type of printing for your requirements. How long does digital printing take? This type of printing method is one of the quickest options available to customers in the Bournemouth area. The time it take for digital prints to be produced ultimately depends on how much you need printing and how our team at RP Printers are.